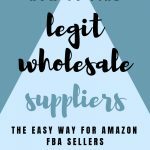 Amazon Selling Expert shows proven ways to earn a living, working from home, on eBay and Amazon. See those companies? They all call themselves 'wholesale distributor' or 'drop shipper' etc. If you're an online seller, you're thinking “that's for me”, right? Wrong. There are two problems here. 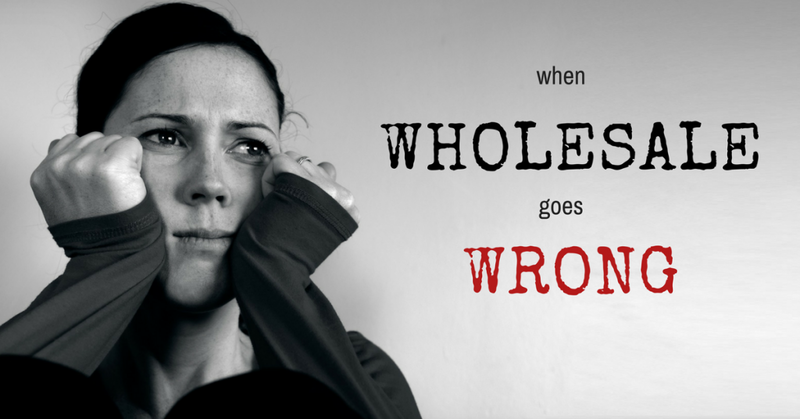 One, those companies are really not in the business of true wholesale. But they won't tell you that. They're actually middle-men, typically buying from a liquidator or another middleman (rarely do they buy direct from the manufacturer! ), and then selling the inventory to people like you, for a markup. 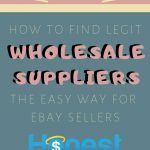 Second, this type of 'fake wholesale' is easily accessed by any seller. It's what I call a low barrier to entry for the seller. 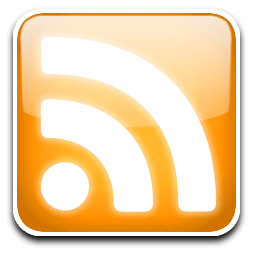 Meaning there is a very small “barrier” the seller needs to surmount in order to be a reseller of products. In other words: Any seller with any size budget can source and sell those products. I can click on any of those providers above, click on any item, use my credit card, and buy whatever minimum quantity I want – 10, 25, 100, 1,000. So what's wrong with this picture? It's that anyone with a credit card account can go to any of those sites to buy product. Even if you find what you think is a winner, another 1,000 online sellers can see what you're selling and do the exact same thing you did, and voila – you have competition and saturation. Need another example? Go to Alibaba.com (a multi-billion dollar network of China suppliers eager to sell to you) and type "Spiderman" in the search box. Look around. All those Spiderman toys are unauthorized reproductions/knock-offs. Just about every major toy company in the world does not sell through Alibaba! Either they have their own distribution staff or they outsource it to a trusted company. If you've been selling on Amazon for a few years, you'll remember the big ban of "Frozen" movie merchandise they put on 3rd party sellers. That's because Amazon seller were searching online for "Frozen Toy Wholesale" and all - all - of that merchandise was counterfeit and flooded into Amazon's warehouses. 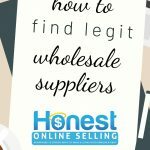 So if you do any type of this 'fake wholesale' sourcing, it makes it very hard for you to a.) know if what you're sourcing is authentic, and b.) compete and sell at any significant profit margin. Let me say that again. 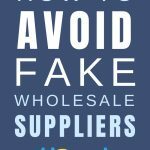 That type of 'fake Wholesale' sourcing makes it very hard for you to compete and sell at any significant profit margin. A lot of sellers on Amazon and eBay buy these products online. They end up seeing that 50 other sellers are doing the same thing, and they start competing on price. There's no profit left. 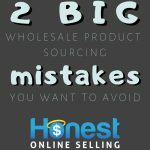 A lot of sellers actually take a loss by doing this type of sourcing. 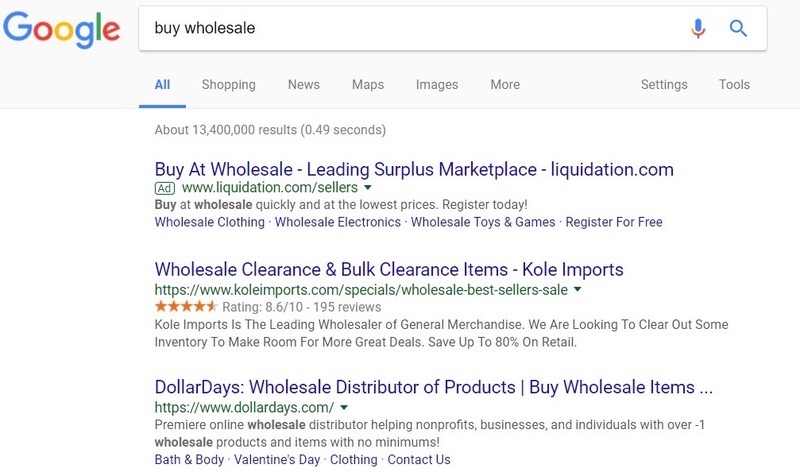 Another search result you'll see when you do a search for "buy wholesale” is for “dropshipping”. Generally speaking (there are exceptions), they heydey of dropshipping has come and gone for the same reasons. Anyone can look up a 'dropship' provider online, and sell their product for them online, very easily. And the margins are slim to none no matter how much volume you're dealing with. The exception - when dropshipping actually works - is when you strike an exclusive with the manufacturer of the item, and you're one (or one of few) authorized sellers of the item, and you can rely on the manufacturer to ship the item for you, when you sell it, in a timely fashion that is profitable to you. 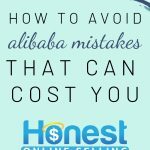 If you want to source a profitable product, again and again, for reselling on Amazon or eBay, you want a high barrier to entry to other sellers. This means you want products that are comparably difficult for other sellers to source. Become a direct, authorized buyer of a manufacturer/brand. So few sellers do this properly. You contact the manufacturer/brand owner directly. Many manufacturers/brand owners are used to some pretty horrible online sellers contacting them. Think about your competition. Typically they're hostile, aggressive, bossy, and they feel entitled. And that's how they act toward manufacturer/brand owners. That's not you, right? Successful online sellers also solve problems for the manufacturers. Many manufacturers don't know how Amazon/eBay works, and sellers like you can “get in good” with them by helping them solve their challenges. Once you land one manufacturer, it becomes 'rinse and repeat' easy! Source two complimentary products that you sell as a bundle (together) in an Amazon/eBay listing. That's “too much work” for most competing sellers, so they'll virtually ignore you. 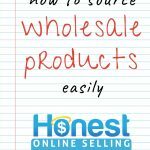 Proven Wholesale Sourcing ($297; or free when you buy The Proven Amazon Course) is an excellent step-by-step method for finding ideal products and how to connect with their manufacturers. This is provided by my trusted partner Jim Cockrum and Wholesale Coach Teresa Rose. If you've never sold on Amazon before, I recommend this user-friendly, free 7-day email course by my partners at The Selling Family. Note: this free course is not wholesale-focused. 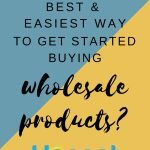 I'm looking forward to hearing about your adventures in wholesale. Don't get trapped into buying just from a Google search and going with somebody who's just there to take your money. You have made an excellent point regarding the sourcing not being easily available to all your competitors. Hi Jordan, I’ve heard your podcast also on listen money matters and read through a few blog posts. Never sold on Amazon but have done ebay a bit. 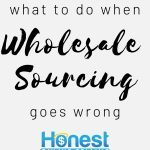 I travel for work and wanted to see if wholesale is time consuming? I checked out your partnering website however, doesn’t seem they are currently accepting students and I really wanted to get started. Any advice? I hope to here from you. I do bundling and on the things it does well. I should do more. It takes work though. I also find that many manufacturers don’t like Amazon/Ebay sellers because they don’t follow map and sell their items cheap. Good point Dan, which is why it’s important to let manufacturers know you are committed to following MAP, it’s part of your own ‘company policy’ as an established seller. That’s the stuff, Duane! Way to go. Amazon Brand Restrictions – What to Do?